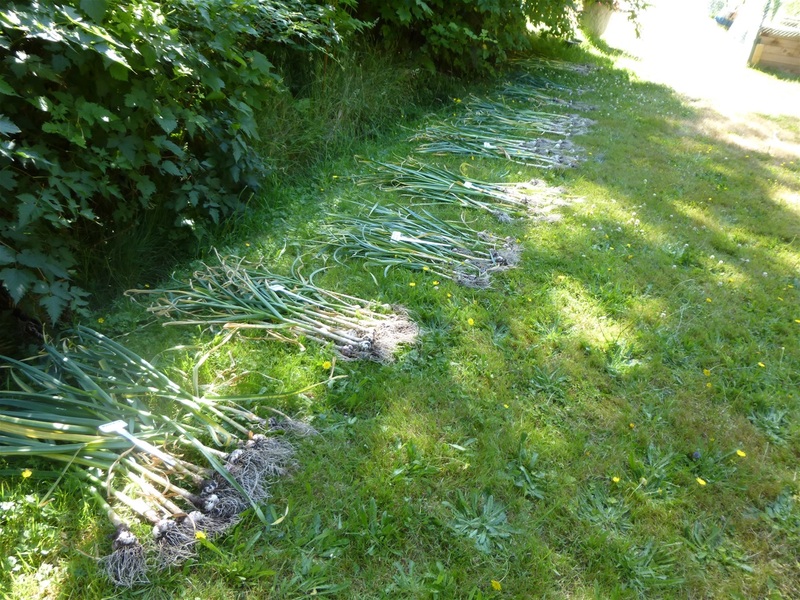 Garlic bulbs need to dry for about 4 hours before bringing them in to cure... It wil toughen up their skin a bit before you bring them in to dry. You want to make sure you have them out of direct sun light to dry.